Representatives from all nine political parties at the Norwegian parliament today established a friendship group for Western Sahara. A friendship group for Western Sahara was for the first time established in the Parliament of Norway in 2014, at the time coordinated by the same MP Åsmund Aukrust, and with leader of Liberal Party, Ms Trine Skei Grande, currently Norway's Minister of Culture. 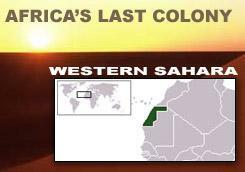 Since 1975, three quarters of the territory of Western Sahara has been occupied by Morocco. A majority of the population is still living in refugee camps in Algeria. Those who remained in their homeland are subjected to serious harassment from the Moroccan occupiers. For more than 40 years the Sahrawis have been waiting for the fullfilment of their legitimate right to self-determination. Support the Support Committee. Help us work for the Sahrawi people's struggle for self-determination. Give a donation here.